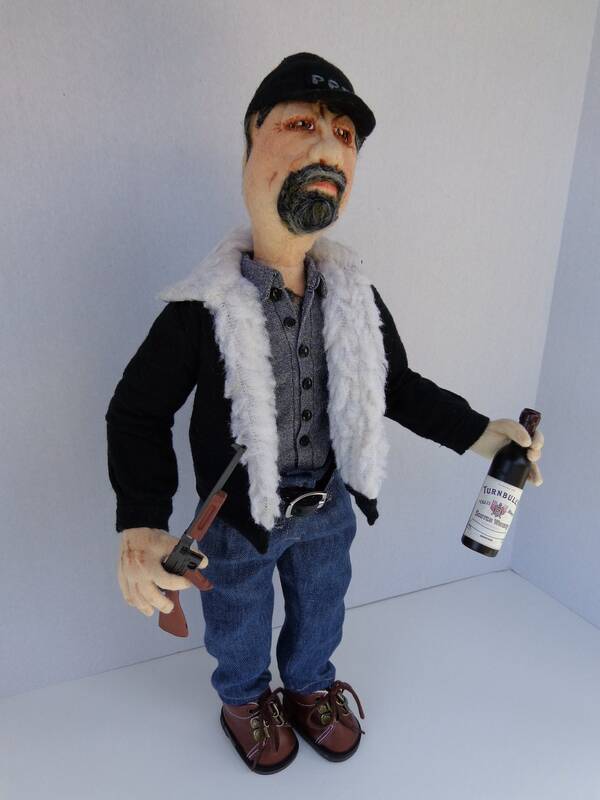 Today, I would love to introduce to my, Aunt Laura, from Laura Jean Dolls on Etsy. She is one of the most creative people that I know. She was a home ec teacher and high school counselor and is extremely talented. Aunt Laura does everything from cooking, to decorating, and entertaining. The list goes on and on. She makes fabulous Art Dolls and has been written up in Art Doll Magazine several times. 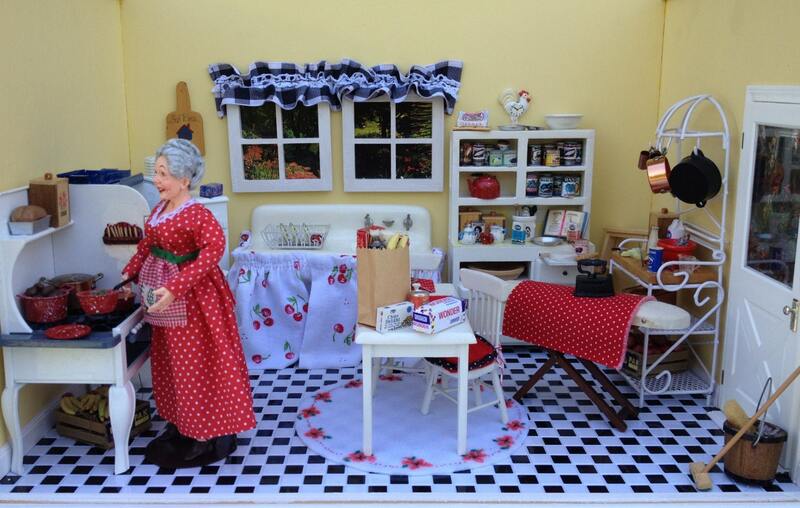 She also makes Miniatures which are truly one of a kind, amazing works of art. 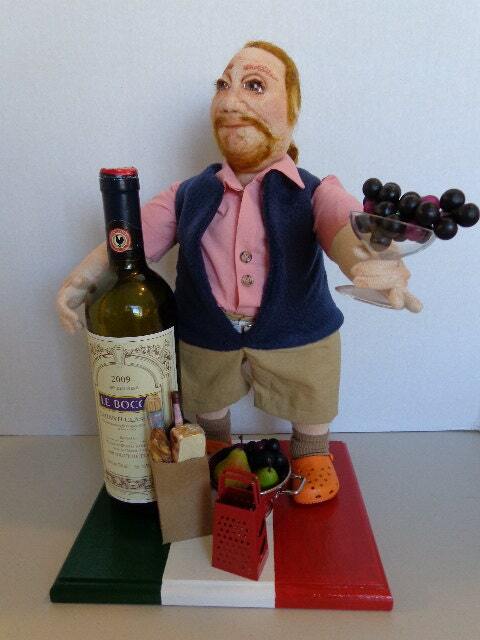 Here are just a few of the dolls and miniatures available at Laura Jean Dolls. 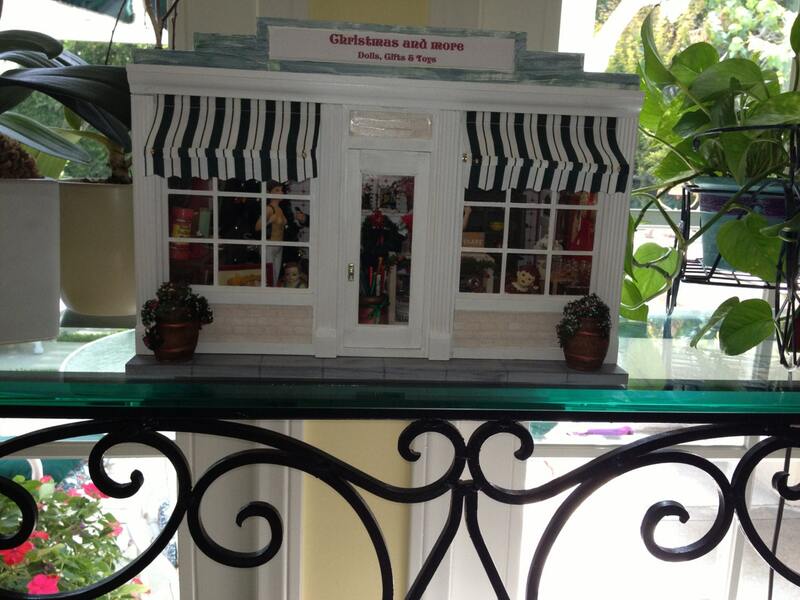 This Christmas Shop is one of her newest ones and it is so cute. This is actually one of my favorites, since it reminds me of my great grandma. My aunt gives a little history of my grandma in the description of the room box. 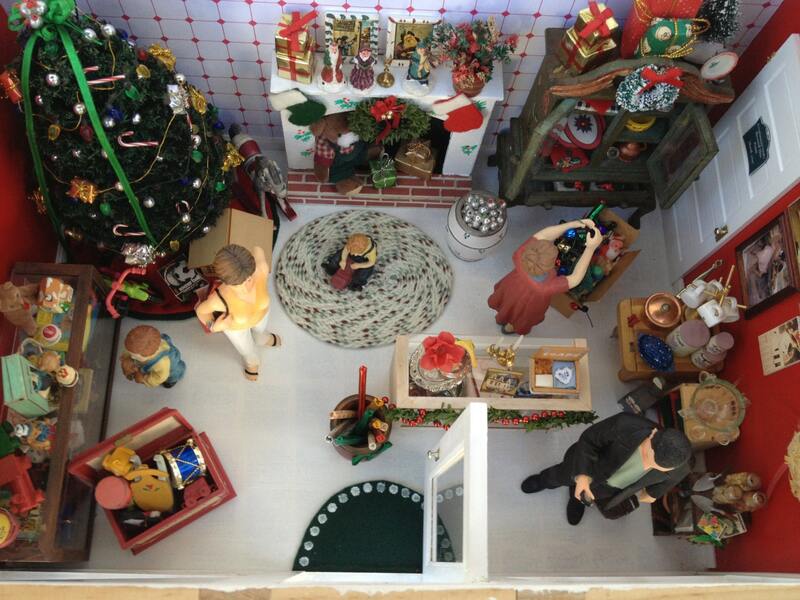 There is one she made of my grandma's living room from a picture and it was and exact replica of that room. 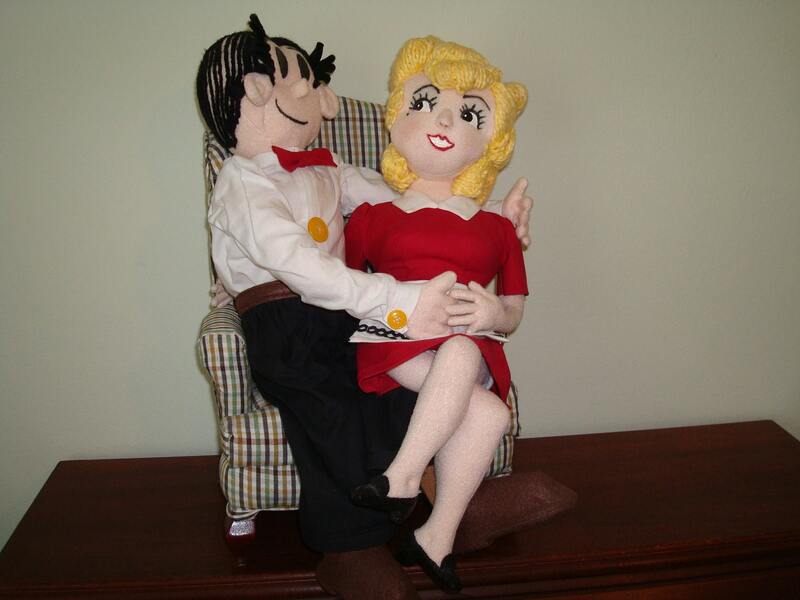 I hope that you'll head over and take a look at all of her fabulous dolls and miniatures. She also does special orders. It's a little late this Christmas, but maybe for another occasion. 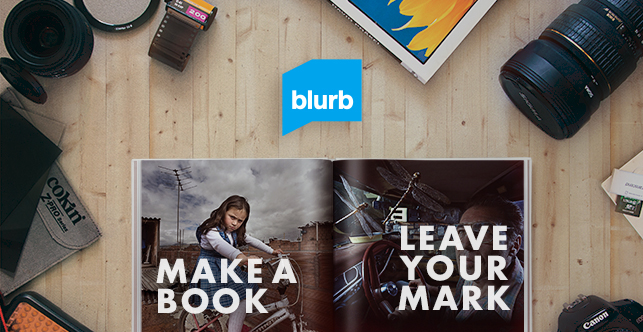 This is not a sponsored ad. I just wanted to share my talented Aunt's work with all of you. 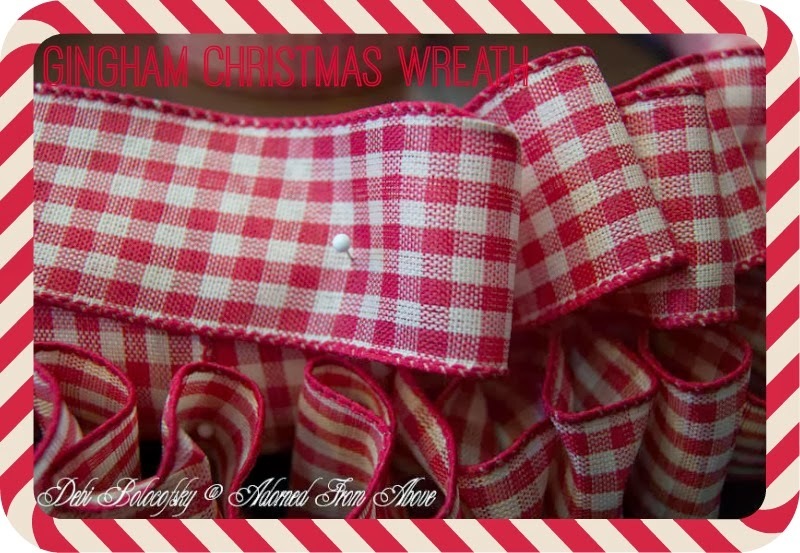 Labels: Favorite Blog Links, Gifts and Gift Baskets, Home Decorating Project, Homemaking, Misc. Today we are serving Sparkling Apple Pies for Friday's Happy Hour. 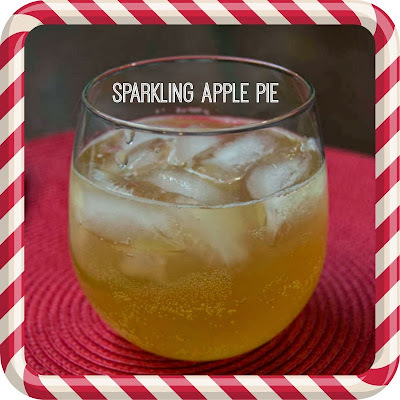 These drinks were very simple to make and lots of fun to drink. Just two ingredients and you have a cocktail. I liked it also, because it felt so festive the bubbles. 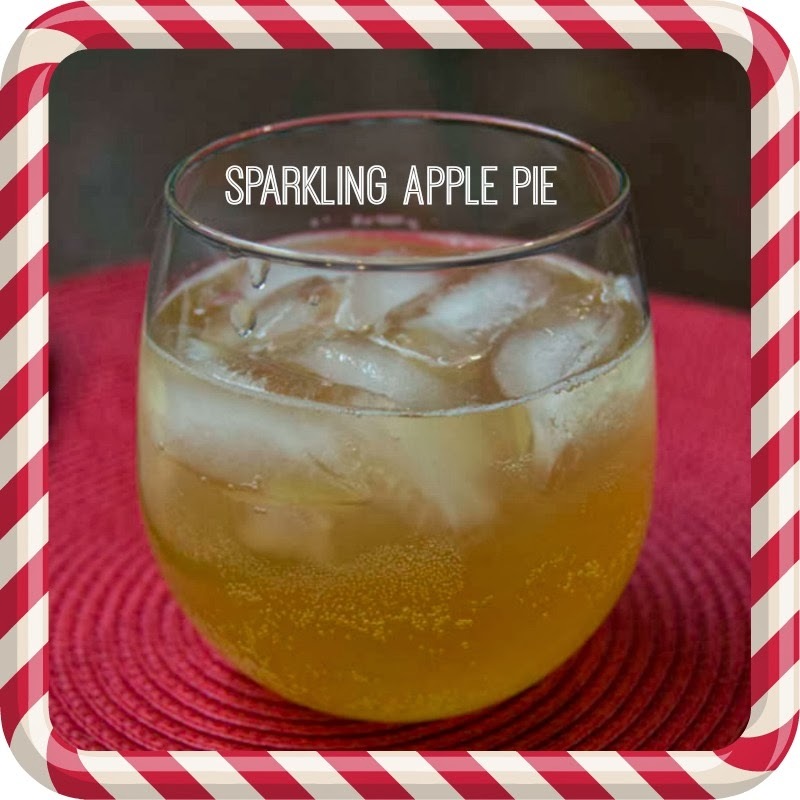 Measure sparkling apple juice and the Apple Pie Liqeuer into a 2 cup measuring cup. Pour into 2 glasses over ice. Now wasn't that easy. Wait until you taste it. It is very, very good. All of these books are so cute. There is one for every child in your life. 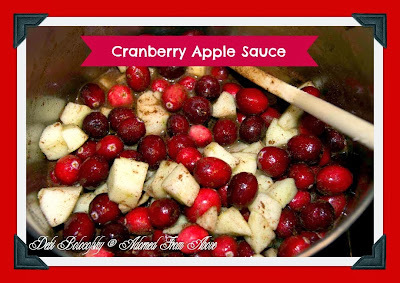 This is a great recipe for Homemade Cranberry Sauce. 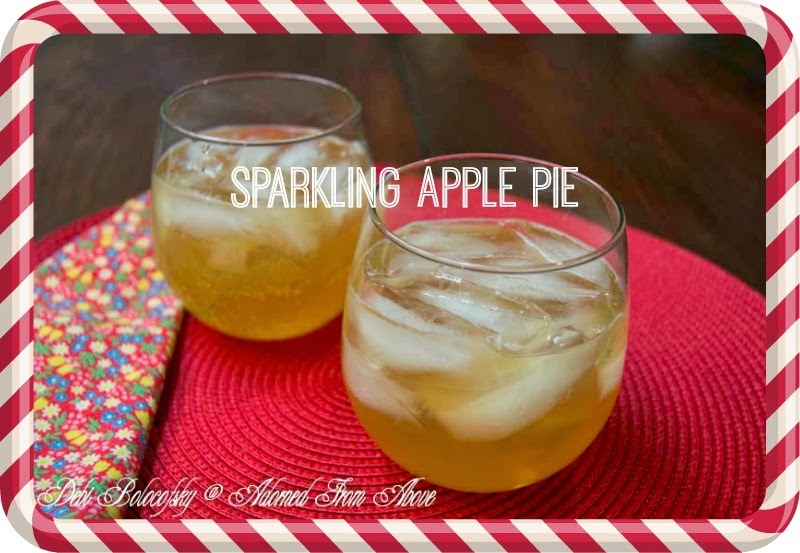 I use apples and spices in this recipe, which I love. I love cranberry jelly, but this is good also, and is always a request from my kids. 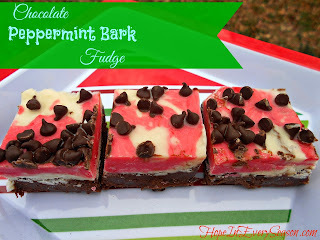 I also love that it is so easy to make. Place all of the ingredients in a sauce pan and bring to a boil over medium high heat. 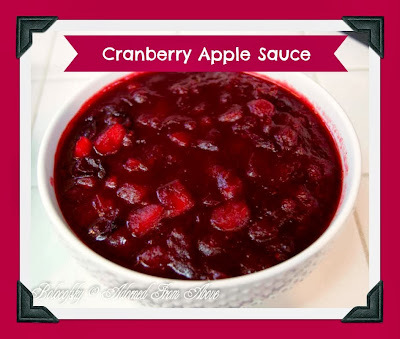 Reduce heat to medium and simmer stirring occasionally for another 20 minutes, or until the cranberries have popped and apples are soft. I hope that you enjoy this Homemade Cranberry Sauce recipe. 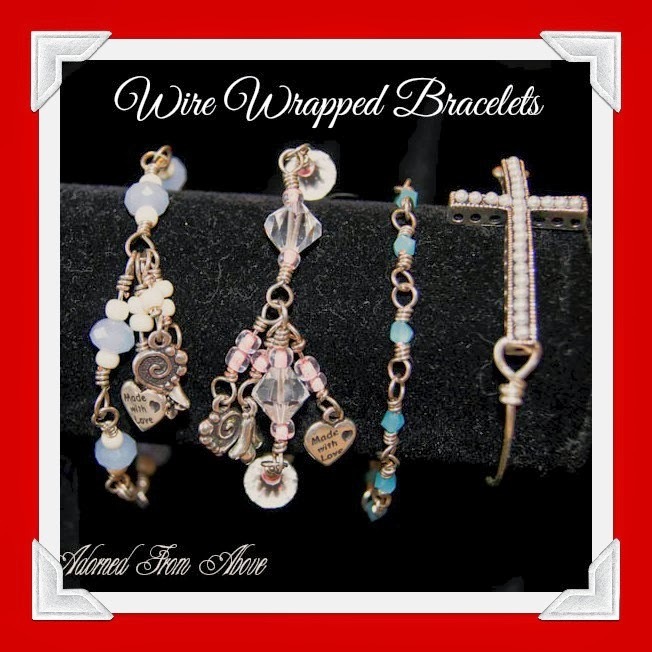 Today I am sharing the pictures of the Wire Wrapped Bracelets that I have made for Christmas Presents this year. I love the way they came out. The pale pink and pale blue ones are for some very cute little girls. The aqua one I gave to a friend, and the Pearl Cross is for Charly. Online Wire Wrapped Jewelry Making Class. I will share more the the jewelry that I have been making next week. I make some cute Wire Wrapped Turquoise Teardrop Earrings, and I'm working on a bracelet for my Mom and some other friends. I think I'm even going to try a necklace. 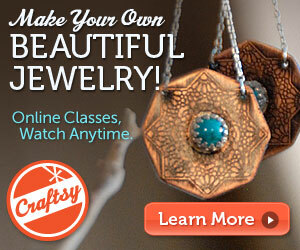 I would do a tutorial on making this jewelry, but I'm not that good yet. 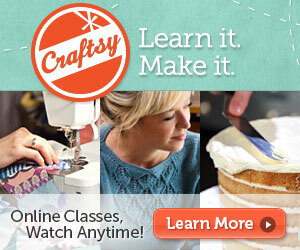 I need to practice a little more, but you can take the Craftsy class and learn to make them yourselves. Have fun, and I hope you take a class to see how much fun it is. I put that this is a sponsored ad earlier. 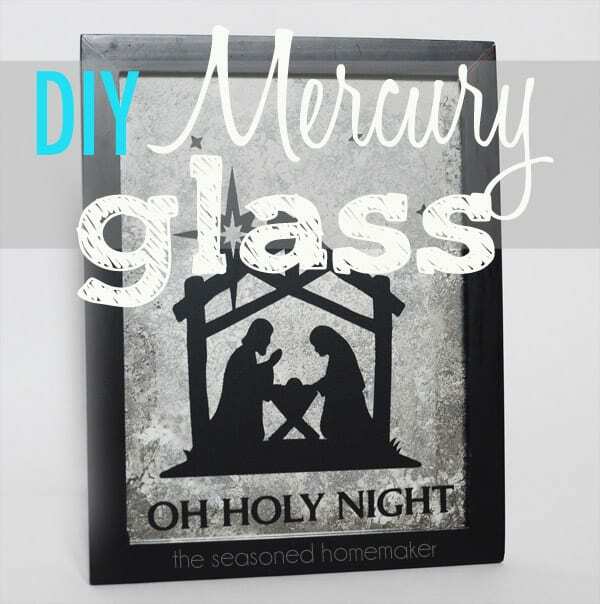 I do earn money if you sign up for a Craftsy class, but I have written this post because I these are actually Christmas presents that I have been making for my family. 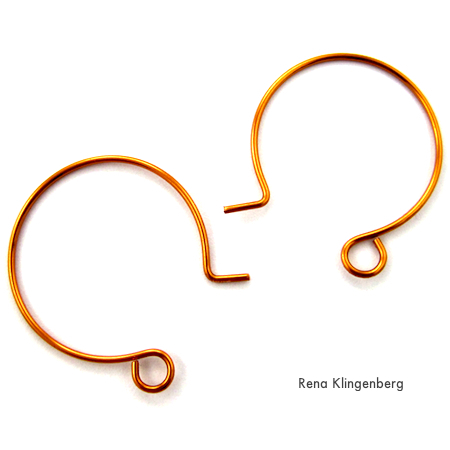 Not at the instigation of any sponsor, but because I am having a blast making these pieces of jewelry. I loved this Craftsy class and keep going back to it to learn more techniques. We want to thank everyone who shared with Wednesday's Adorned From Above Link Party 69. We love seeing all of your posts. We know that it had been a while since the last party, and we really appreciate the huge turnout. Welcome to Wednesday's Adorned From Above Blog Hop 70. 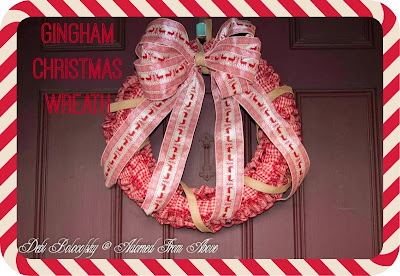 I love the way my new Gingham Christmas Wreath came out. It was pretty easy to make, it can be made in an afternoon. 1. 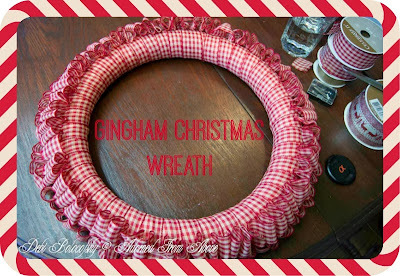 Start by pinning the end of the gingham ribbon to the wreath and then wrap it around the entire wreath. 2. Next pin the ribbon to the top of the wreath, near where you started, and make loops at the top of the wreath, and pin a straight pin in between each loop. 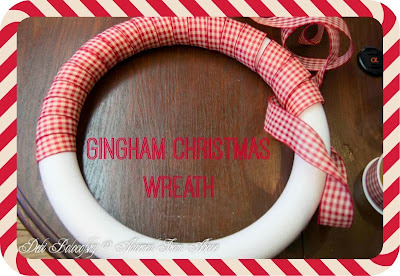 Do this around the entire wreath. 3. Repeat this process 4 times. 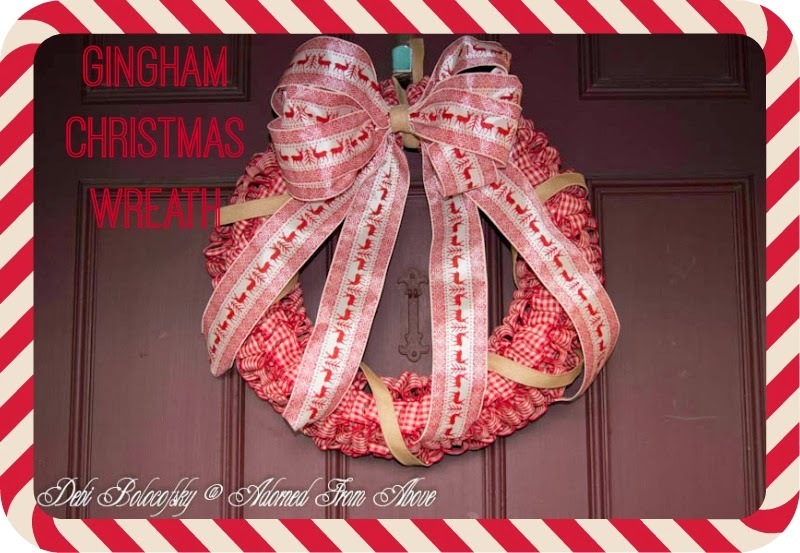 So you will have four rows around the front of the wreath. 5. Once you have finished with the rows, you will loosely wind the burlap ribbon around the wreath, again pinning it at the back of the top of the wreath. 6. 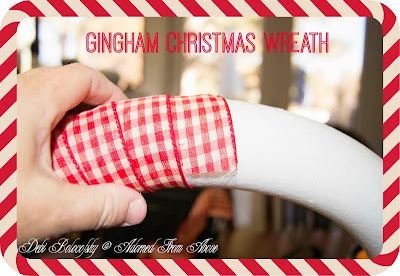 You will next wind your wide decorative ribbon for to make a bow. I did it 4 times and about 9 inches in length. I then cut 2 16 inch pieces of ribbon, and put them behind the loops. 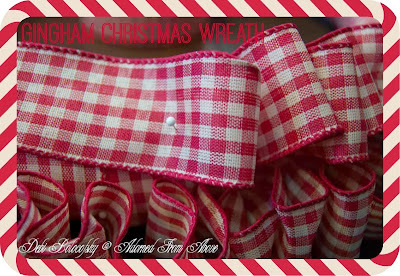 Then cut a 6 inch piece of ribbon and tie it around the center of all of your pieces. Next, just pull each of the loops and fluff them up. 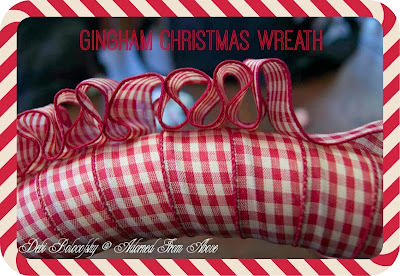 Arrange you long pieces of the ribbon down the front and cut them to the length that you like. I love the way this wreath came out. It looks so cute on my front door. Have a great week, and as always if you have any questions, please feel free to contact me.